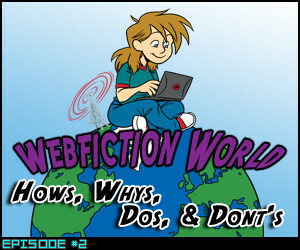 A. M. Harte and MCM are here to give you some of the “Hows” and “Whys” of webfiction, as well as lots of “Dos” and “Don’ts”! Music: Back Home by Jackal Queenston (Conquer) *320k MP3 available for purchase. 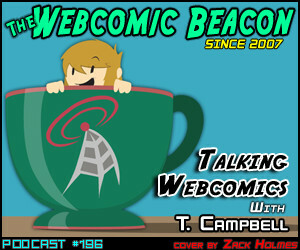 T. Campbell (Penny and Aggie and more) joins Fes and Tanya to discuss several points of working as a webcartoonist. We cover topics concerning ending one’s comic, working with partners, and evaluating your success. We also cover T. Campbell’s published work of “A History of Webcomics”, to his credit, torment, and dismay. Lee Cherolis and Ed Cho (Little Guardians) join Rosscott and Alex Heberling for this episode of the Webcomic Beacon Newscast. Lots of corporate content this week. Thanks to Eric Kimball, our newshound for collecting articles. Not all articles may have been gone over in detail, but they are all listed for you. BugByte ([messenger]), Root (The Dawn Chapel), and JillyFoo (Demon Eater) join Fes to discuss their comics and their approaches to watercoloring! Fes Works rejoins Rosscott and Eric Kimball for this episode of the Webcomic Beacon Newscast. Lots of small, barely related articles this week. Not all articles may have been gone over in detail, but they are all listed for you. Imagine this… you’re reading a story and start noticing after a little while that some things… don’t add up. Facts start to contradict reality, or established canon, or even one another, and you get the sense that the entire narrative structure may be attempting to “pull one over” on you. Now, it could be that you’re just losing your mind… or, it could be that you’re reading a story with an Unreliable Narrator. 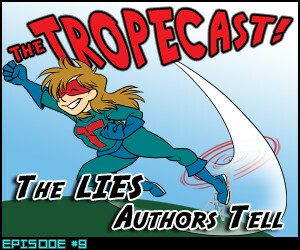 Today on the Tropecast, it’s “The Lies Authors Tell”. Or… is it? Adam Smithee, Alex Heberling, and Jules Rivera are here to run this episode of The Tropecast! Break Song: Liar by Buck Brothers. Dern (Hello with Cheese) rejoins Rosscott and Alex Heberling for this episode of the Webcomic Beacon Newscast. This also marks the first episode of The Webcomic Beacon Newscast as it’s own podcast, separate from The Webcomic Beacon podcast. Let’s face it: it IS a separate show. This is in celebration of The Webcast Beacon Network launched. Not all articles may have been gone over in detail, but they are all listed for you. 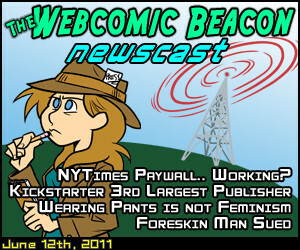 The Webcast Beacon Network is Born Out of a Re-Branding of Long-Running The Webcomic Beacon Podcast. www.WebcastBeacon.com (June 10th, 2011) – The Webcomic Beacon has been a topical podcast, promoting webcomic creation since 2007. In 2010, two new programs were added: The Webcomic Beacon Newscast, covering and commenting on relative news happenings of the week; and The Tropecast, a show covering assorted tropes, memes, and other repeating literary tools. 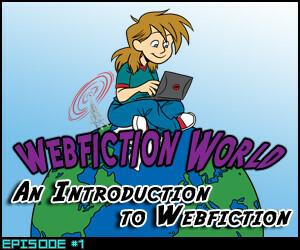 As of June 10th, 2011, the website has been rebranded to become The Webcast Beacon Network, with the launch of the newest program, Webfiction World, for a look into serial updating of fiction online. The re-branding is an effort to increase the exposure and audience of all the programming, and to better promote itself. The Webcomic Beacon, The Webcomic Beacon Newscast, The Tropecast, and Webfiction World are now all independent programs, run by different creative teams. 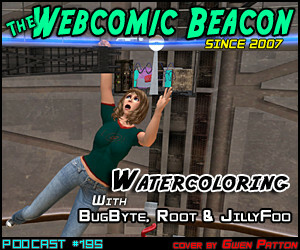 Broadcasting each show live online will continue as it has since the beginning with The Webcomic Beacon. Presently, all shows are slated to record and broadcast live on Sundays. Shows are scheduled as soon as can be, and can be referenced at www.webcastbeacon.com/calendar. The mission is the same as it was in 2007: To promote creativity and the creative process. The Webcast Beacon Network encourages hobbyists to express themselves, and the enthusiasts to progress themselves. The Network hopes the best for those angling for the professional arena, and will do what they can to help them along. 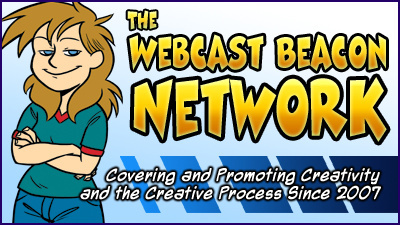 The Webcast Beacon Network and its crew is committed to those that wish to be creative and express themselves: to have fun, learn, make connections, and grow. Advertising and Sponsoring of the The Webcast Beacon Network, its programs, and individual episodes are presently available. More information can be found at www.webcastbeacon.com/advertise. The Webcast Beacon Network, with its present four, on-going podcast series, will be providing new content available at a rate of two to three times a week. Live broadcasting of most program episodes will typically be conducted on Sundays. Audio recordings in MP3 format will be downloadable during the following week. The Webcast Beacon Network is hosted by The Rampage Network at www.WebcastBeacon.com. Join Fes Works as he introduces A. M. Harte and MCM; as they introduce us to the world of webfiction, webserials, web-lit, etc! Also welcome them to the Webcast Beacon Network Team, as they run Webfiction World on future episodes! Reading: Bunny Tacos by MCM, read by Nate Hammond and Lyndsey Harvey. Music: It’s Murder by Mayhem (As Of Yet Unnamed EP) *320k MP3 available for purchase. Webcomic Beacon #194: Journal Comics! 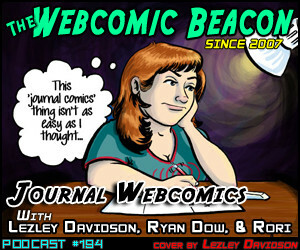 Lezley Davidson (Peeling Onions), Ryan Dow (Introspective Comics), and Rori (Tiny Pink Robots) are here to talk about journal webcomics with Fes and Tanya! How hard could it be…. right? Welcome to the new Webcast Beacon Network website! We are officially launching it THIS WEEK, starting with the first episode of Webfiction World, which will update on Friday (hopefully).